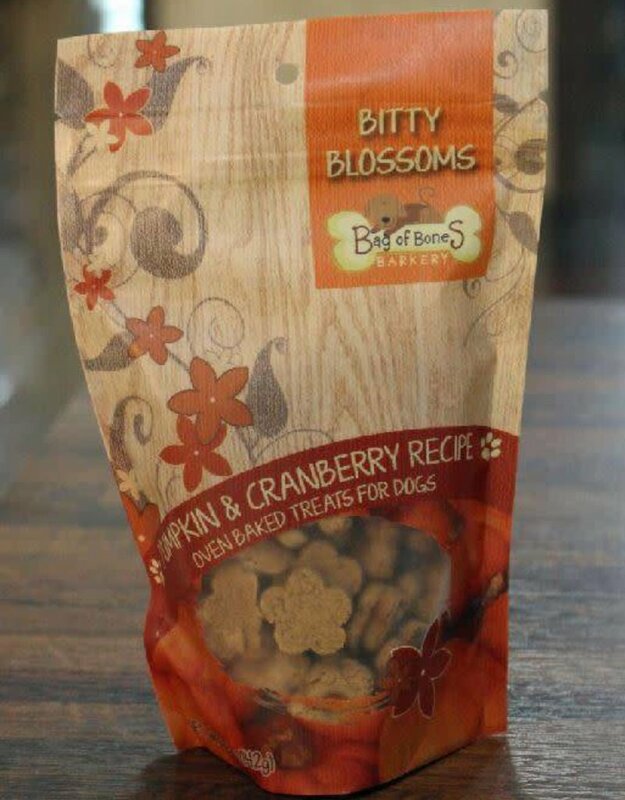 We've taken some classic combinations and baked them together into a crunchy dog treat "blossoming" with flavor! 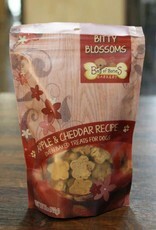 Choose from Apple & Cheddar, Blueberry & Cinnamon and Pumpkin & Cranberry. 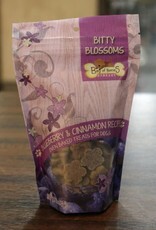 Made from scratch, our Bitty Blossoms are low in fat and contain less than 9 calories per flower-shaped treat. 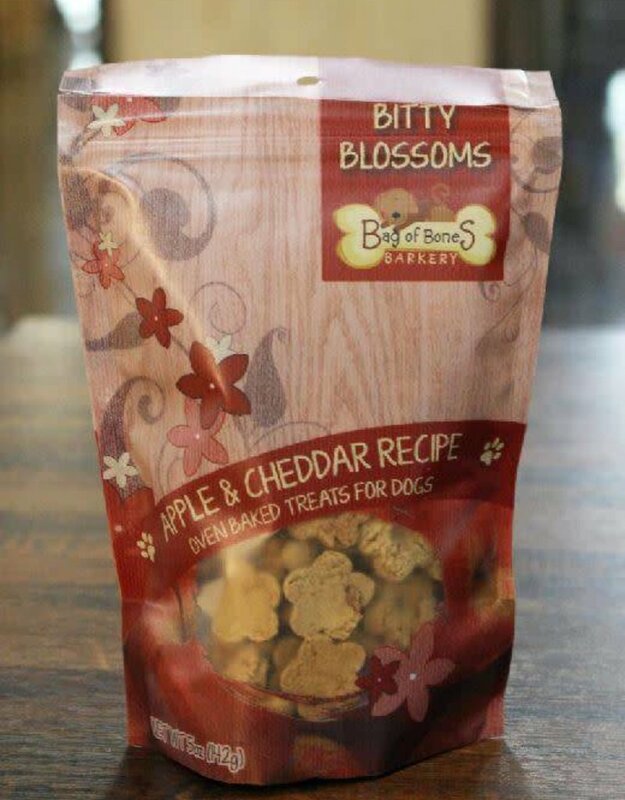 Because they contain no wheat, corn, soy or meat they are a great choice for dogs with allergies to these grains or to specific proteins. 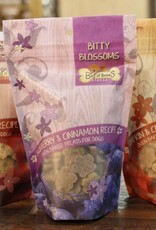 And the simple recipe lends itself well as an addition to the diets of dogs with sensitive tummies. They are made right here, by us in the good ol' USA. Using ingredients from the USA. 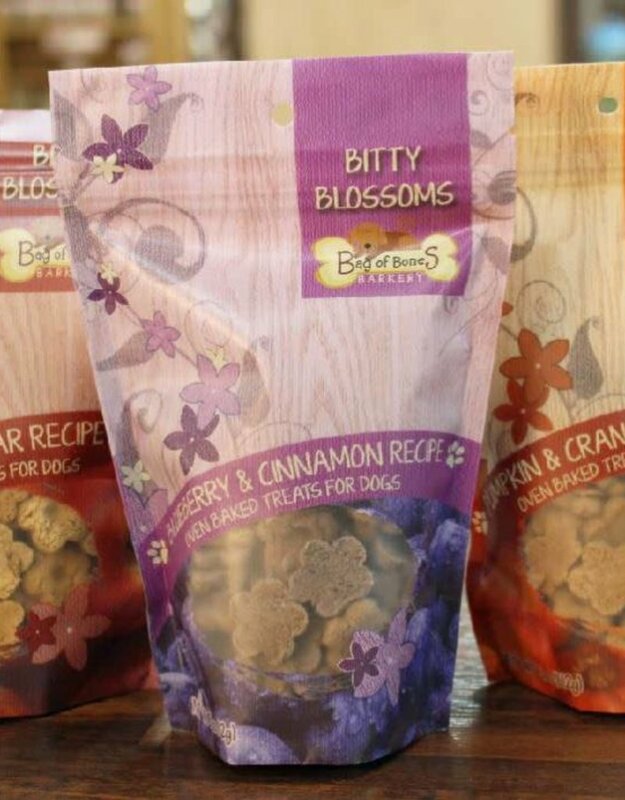 We don't make our treats in a factory overseas somewhere. No, sir. 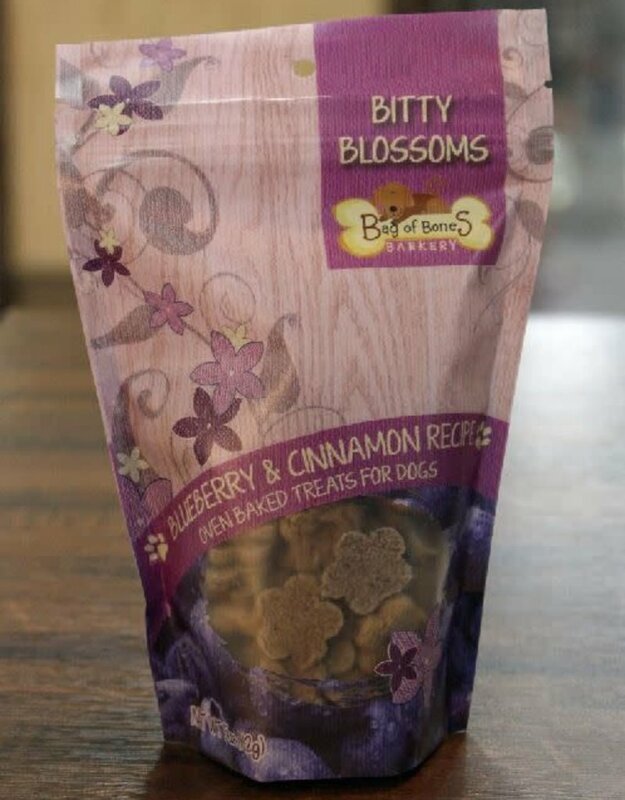 We make them right here in our store's kitchen. 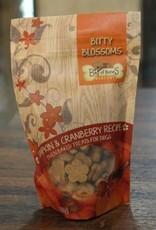 In small batches, too, so the flavor really comes through.